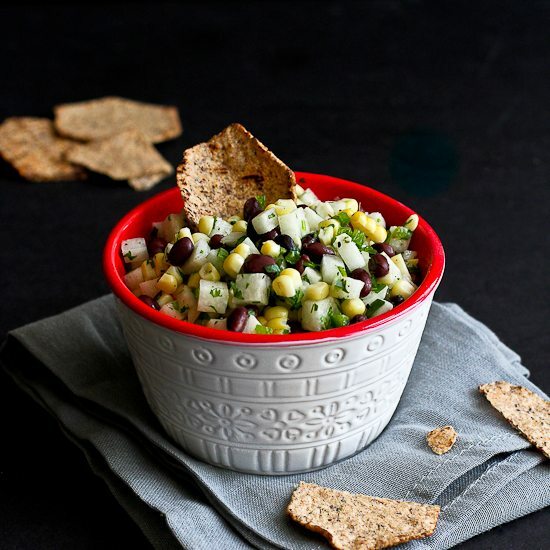 Whip up this jicama, black bean and corn salsa for a healthy, low calorie snack or serve it over grilled chicken or fish for an awesome meal! As much as I love hummus and veggies, there’s only so much that one gal can eat. Afternoon is snacking and grazing time and I need to spice things up a little, otherwise I start thinking that a bag of puffy Cheetos is a good idea. This easy, healthy salsa is going straight onto my list of 50 Healthy Snacks (100 Calories or Less). With only 40 calories per 1/3 cup serving, I figure I can eat a couple of helpings without going overboard. (seen in the photos…we can not stop eating them), but use whatever chips or crackers that appeal to you. Jicama is always a winner in my house. 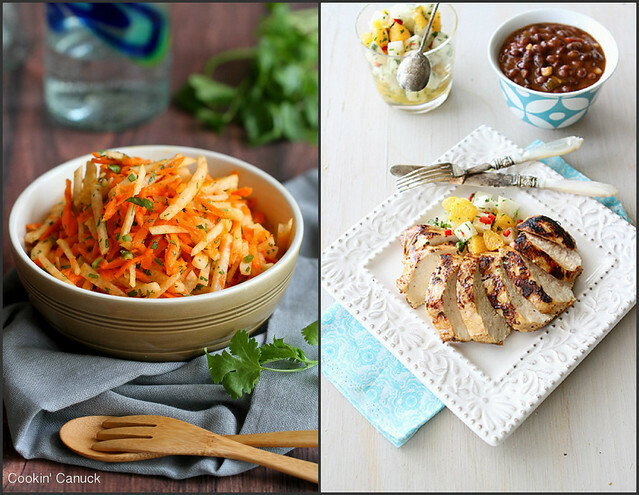 The crunchy sweetness makes it fantastic on its own and even better in a jicama slaw or a sweet and spicy salsa like this one. 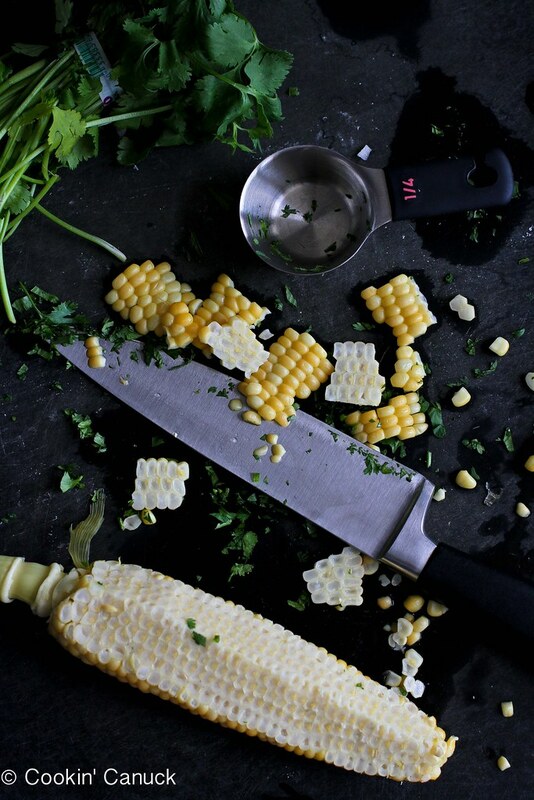 Both the jicama and corn bring a natural sweetness to this salsa, so I just added a drop or two of agave nectar to round out the tanginess of the fresh lime juice. And this salsa over chicken or fish? Oh yeah…it just doesn’t get any better. 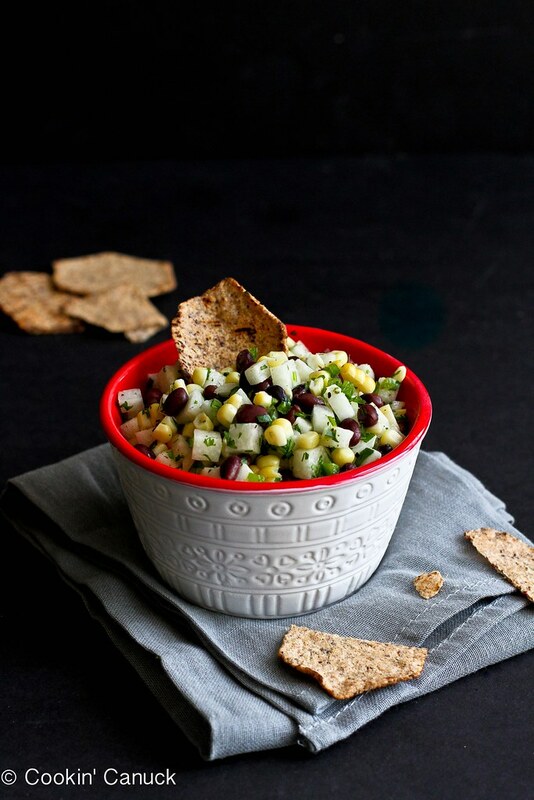 In a medium bowl, combine the jicama, black beans, corn, jalapeno, lime juice, agave nectar, salt and pepper. Toss gently to combine. Serve. This looks so delicious Dara – I love the crispness of jicama! 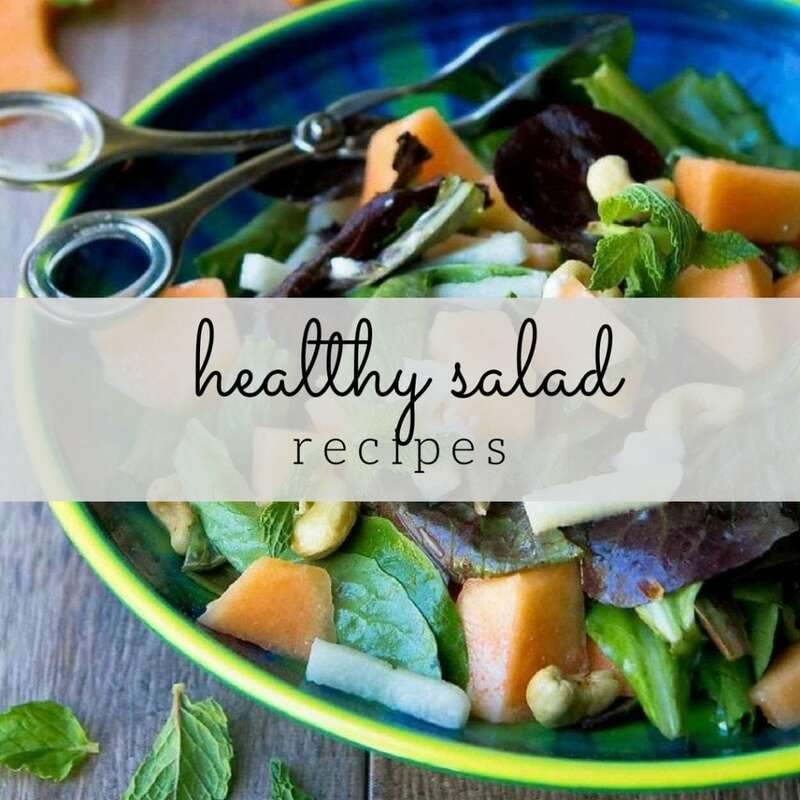 So happy for another use for jicama other then in my salads. I LOVE jicama and was soo happy to find it at a new local produce stand that recently opened. 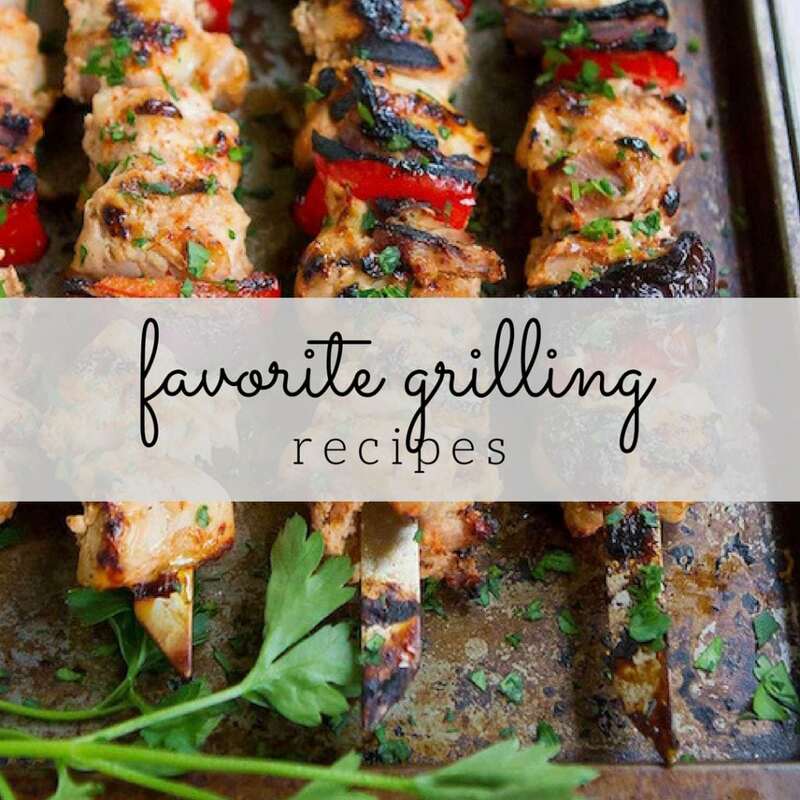 Adding this to my must-try soon list! 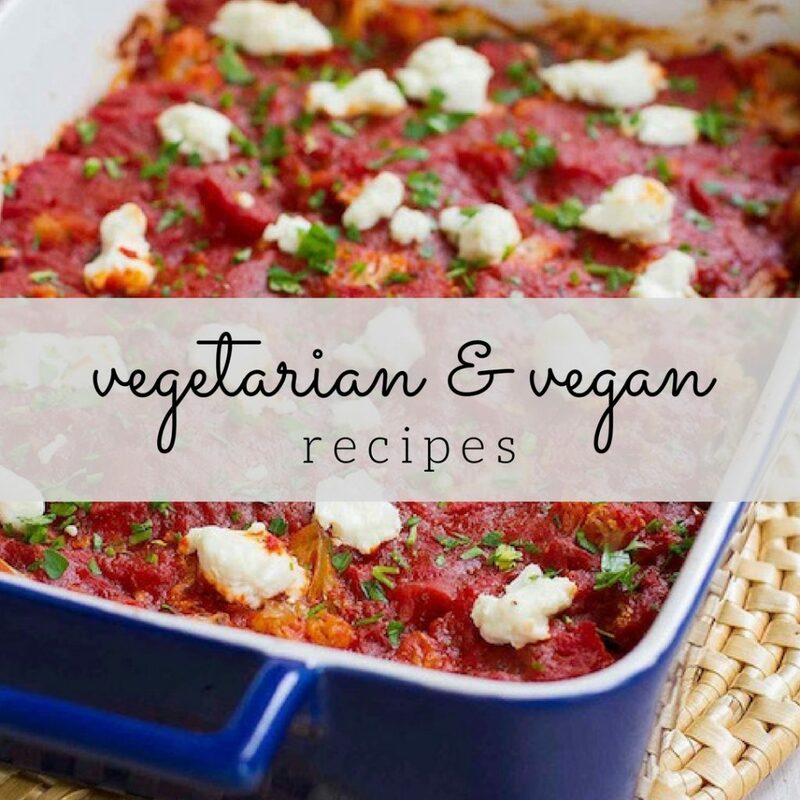 What an easy and delicious recipe for lunch this weekend!! yum! 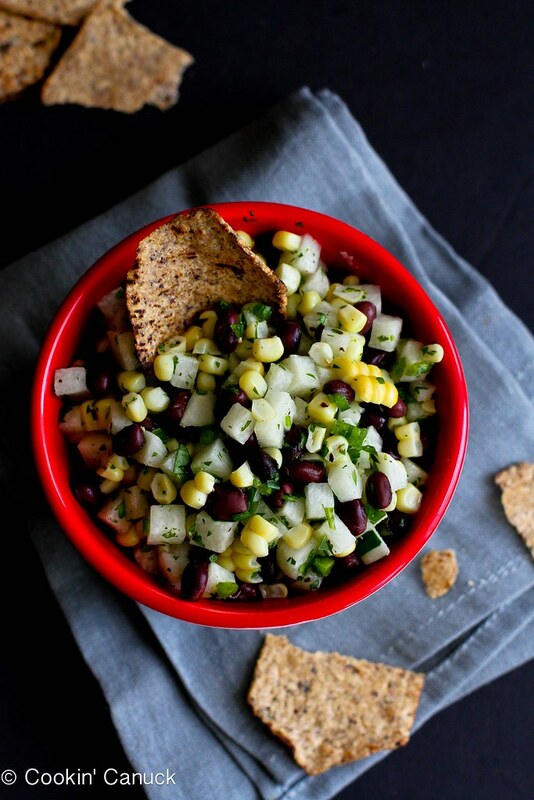 what a delicious salsa… definitely something I will be trying! never used jicama before either, thanks for sharing a great recipe! 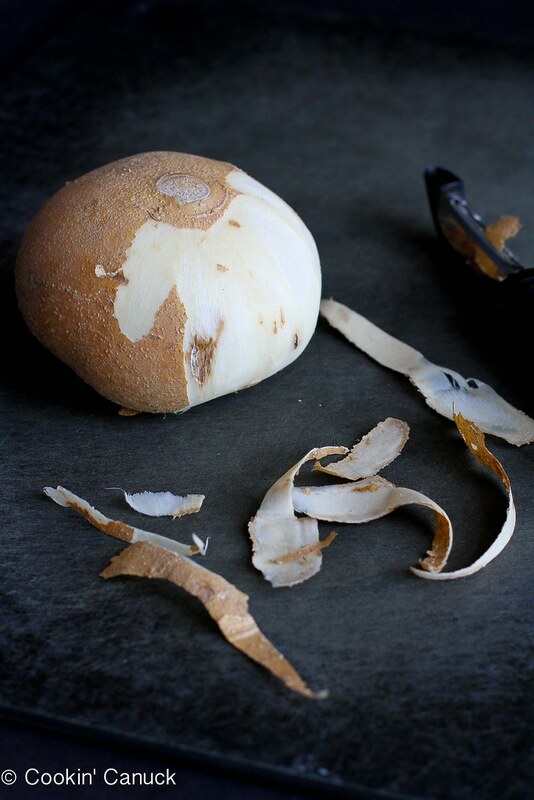 Jicama is so underrated…it needs some more love and attention — I love this!